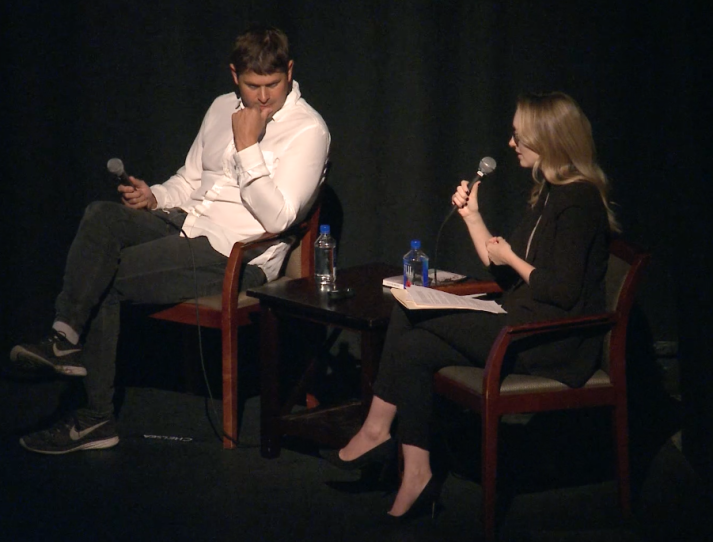 Presented at Los Angeles County Museum of Art as part of Artadia’s Art & Dialogue program, Katherine Brinson engages in a conversation with artist Alex Hubbard. In addition to providing an overview of Hubbard’s practice, this talk focuses on work presented in Hubbard’s exhibition “Basic Perversions,” which was concurrently on view as the inaugural exhibition at Maccarone, Los Angeles. Katherine Brinson is Curator of Contemporary Art at the Solomon R. Guggenheim Museum, New York, where she recently curated a major retrospective of the work of Christopher Wool. Since joining the Guggenheim in 2005, Brinson has organized numerous exhibitions at the Solomon R. Guggenheim Museum, Guggenheim Museum Bilbao, and the Deutsche Guggenheim in Berlin, including solo presentations by Danh Vo, Hans-Peter Feldmann, Agathe Snow, Ryan Gander, Kitty Kraus, and Julieta Aranda. In 2015 she co-curated The Hugo Boss Prize: Paul Chan and the group exhibition Storylines: Contemporary Art at the Guggenheim, and was the curator of the Guggenheim presentation of Doris Salcedo (organized by the Museum of Contemporary Art Chicago). Los Angeles-based artist Alex Hubbard was born in 1975 in Toledo, Oregon. He received his BFA from the Pacific Northwest College of Art and participated in the Whitney Independent Study Program. Working across painting, sculpture, and video, Hubbard often blurs the distinctions between mediums by migrating the rules of one over to the next. One-person shows of Hubbard’s work have been presented at the Hammer Museum, Los Angeles; Midway Contemporary Art Center, Minneapolis; The Kitchen, New York; and the Rose Art Museum, Waltham, MA. His work has been featured in numerous group exhibitions, including the 2010 Whitney Biennial; Greater New York at MoMA PS1; and at the Hessel Museum of Art at CCS Bard; Museum of Contemporary Art (MOCA), Miami; Institute of Contemporary Art, Philadelphia; and Palais de Tokyo, Paris. Hubbard’s work appears in the collections of the Museum of Modern Art, NY; the Whitney Museum of American Art, NY; the Solomon R Guggenheim Museum, NY; the Institute of Contemporary Art, Boston; and the Hammer Museum, Los Angeles. Hubbard’s first monograph, “Eat Your Friends,” was published this year by DoPe Press.